I live in a small city, on the outskirts of Miami, I don’t usually have to pay a big buck, other than few coins, to park my car and enjoy the beach. In many other personal Finance blogs, you regularly read posts with tips to save on various expenses. While thinking my way through this; and to put in a brand new perspective towards saving money, this concept of saving on parking fees came to my mind. I remembered how much I paid for parking when I was in NYC last time. I also remembered that I am paying less on parking fees these days. So, I decided to write about parking fees and ways to cut it. I was a tourist in NYC with a rental car, I needed to sight-see the city, I had to park, all city tour buses leave from Times Square. Naturally, I went to time square and started watching out for parking. Many honks after, I finally got the cheapest one with a rate of $30 per hour! Next time, when I went to Boston, I was prepared and saved a lot on parking fees. Below are few of the tips to save valuable money on parking. Parking fee, which may not be that big of an expense, but, once accumulate over years, it becomes a significant amount. 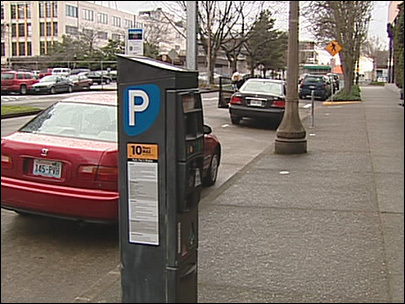 Parking, specially in downtown areas, is a nightmare, it can kill your budget and pocket. You may be using early bird parking offers or monthly rates etc, but still, by the end of the month, aren’t you paying too much? I have a friend who lives in Chicago, he is a banker and works in downtown. He knew some one who has an apartment very close to his work. My friend uses his parking spot during office hours, and he is not paying him anything for it. All because this person works in a very nearby area where my friend lives. It’s a parking swap during office hours! You may not be lucky to find someone, but if you approach this in a very creative way, you might be another lucky guy as my friend is! Various ways you can approach your potential swappers. Notice boards on your local shops and joints, you never know some one using this shops might live near your work. Through local news paper classifieds. There are other aspects of it too, you can look out for a parking space holder near a train station as well. If you find someone working near your home and lives near to a train station which is on your way to work, don’t loose that opportunity, you may have hit a bargain. Even if you are not lucky to find some one to swipe your parking spaces, you might be interested in letting your parking space be used during office hours. You can make up for the parking fees you are paying with this money. Of-course it needs to be legally permitted in your housing society and if it does not encroach on your privacy. You should apply the same precaution as appropriate, when you are putting your home for rent. You can apply above highlighted techniques to put your parking space on rent too. There are other interesting ways to save on parking. When you are just a visitor to a city for few days, do your home work and research thoroughly, it just do not make sense to park right in the down town, as I did in new York. Always look out for a suburban parking space, park there and then take a train or bus to the city, it is usually 60-80% cheaper that way, specially if you are going to spend longer hours in the city. When parking in a spot where lot of empty spots exist, always look out for spots for which there is still few minutes (or hours, believe me I often get these type of spots, you have to look out) left in the meter. It might happen that you want to get down for a quick something and the minimum parking is something which is not minimum, available parking spots with running meters really helps in this situation. Another interesting tip, sometimes local shops allow use of their parking space if you put their billboard on your car. I personally do not know any one who got a success following this, but no harm in trying. I do feel, pizza shops, where people mostly go for a carry out, might give you a space. Talk them in to it if you have such shops near work. Always do proper research before visiting a new city or new place, where you have to park. There are tons of city specific parking websites, and smart phone apps (Primospot, G-Park etc) which list nearby parking spaces, their fees and availability. I saved a lot while touring Boston by using Primospot, it gives you location and direction to free parking spaces as well. I wish I had my iPhone when I was making rounds of San Fransisco, pier to pier, for a parking space. I nearly drove for 30 mins just to find an open parking, before finally finding one, the time loss ensured that we missed our boat to Alcatraz. Don’t let that happen to you, your smart phone can do a lot more than you think it is capable of. Research is also essential for your tour planning as well, I was in Austin for a few months on deputation, I wanted to have a feel of its downtown. I came to know from city’s web site that, on week ends, road side metered parking was free in the afternoon. This research ensured that my down town venture costs were only limited to eating. Note: Never park in a ‘no park’ or ‘not eligible for you'(disabled parking, if you have perfectly healthy body) parking spots. It hurts when you have paid the towers, sometimes you might have to take a cab back home when you are car gets towed. Even if you park wisely and brilliantly whole year, just one wrong parking is enough to wash off all your gains. Always make double sure that you are parking where you should be parking. If you are not alone, ask your co-passenger to watch as well. Proper planning, research, a bit of extra work and presence of mind can save you big bucks on parking. Do not underestimate this cost. I urge you to sit down and roughly calculate how much you had paid for parking for the last one year. This is a good exercise, involve your partner too, you might remember some old funny things in the process. Once you calculate the amount you paid, try to guess estimate how much you could have saved had you implemented these ideas a year back. Do let us know about your own suggestions on saving parking fees, we and other readers will greatly appreciate your effort. 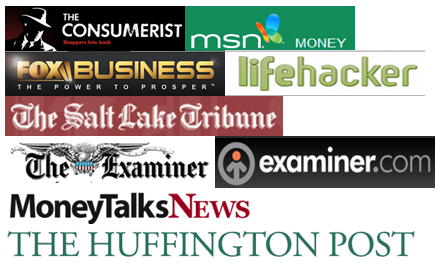 If you like the article, you can take the following steps to express your gratitude. Youve got it in one. Couldnt have put it beettr.